Just wanna have a chill day! Happy easter! K33N Gaming is a social platform for viewers, gamers, streamers, developers, and content creators to connect and share their gaming content with one another. K33N Gaming strives to be the hub for all game enthusiasts of all platforms. K33N Gaming lives on community support (you), hosts official game servers, supports streamers and helps build live streamers an audience, all while providing constant entertainment. 2.4.19 - Today we added a new Site Feature called Who To Follow. This widget can be found on the sidebar across some of the website pages. For example, the Homepage , Activity page, and on the Community Hub. With this widget, you can follow other members and easier network and see activity from fellow members. 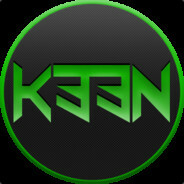 K33N Gaming Community's Official Steam Group. Show your K33N pride by rocking the [K33N] tag prefix in front of your username. Join today!